Damage to the ground beneath large structures such as multi-storey residential and commercial buildings, and house foundations, can have costly and dangerous consequences. Unstable soils or those affected by seismic activity, floods, drought or nearby construction can cause building foundations to subside, compromising structural integrity. This can put building occupants at risk or render buildings unusable, often bringing operations to an expensive standstill. Undertaking structural repairs to address foundation damage beneath large and complex structures requires proven, engineered solutions. 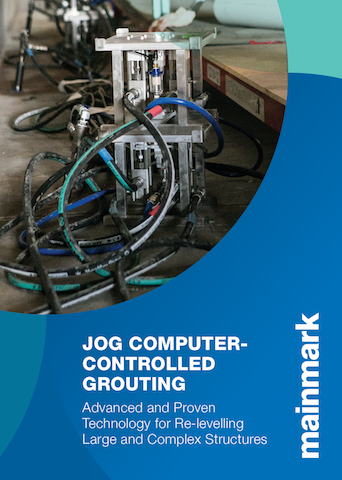 As an advanced, non-invasive underpinning alternative to costly demolition or major underpinning works, Mainmark offers JOG Computer-Controlled Grouting (also known as Integrated Computer Grouting). 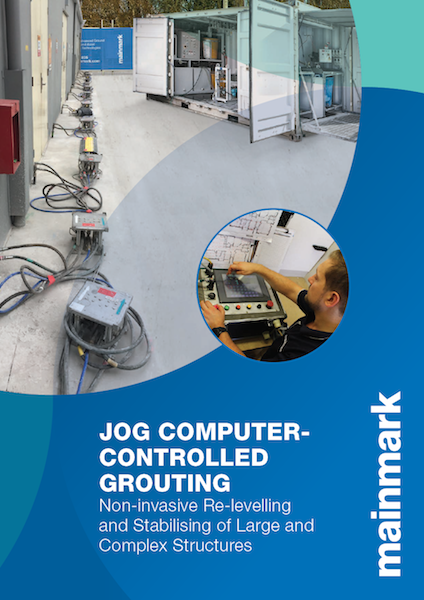 JOG Computer-Controlled Grouting is an award-winning grouting technology for re-levelling and strengthening ground beneath large structures using computer-controlled cement grout injection. 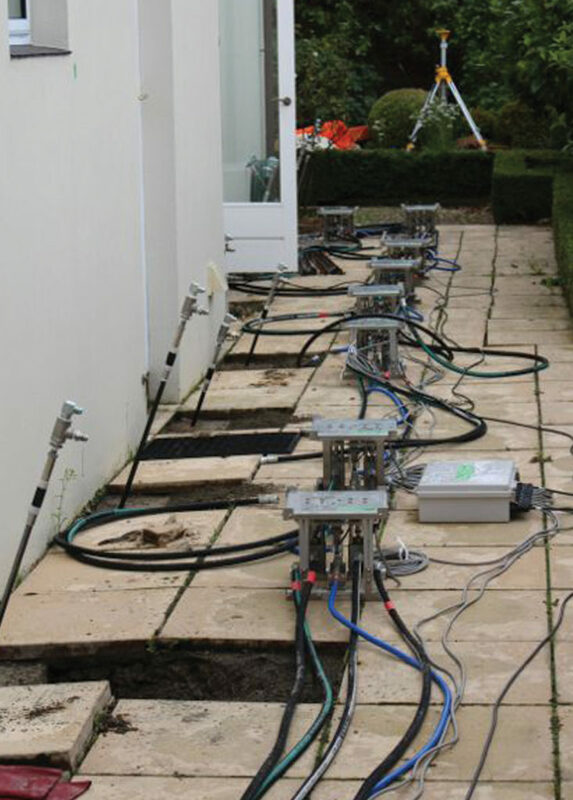 It is an extremely precise method for stabilising soils, consolidating weak ground and lifting foundations to deliver specific, engineered outcomes, regardless of complexity. A very high degree of accuracy is achieved due to advanced grout monitors, and minimal stress is placed on separate sections of the structures, as all parts are supported and brought up together using small, sequenced injections of high mobility cementitious grout that is very fluid although fast setting. 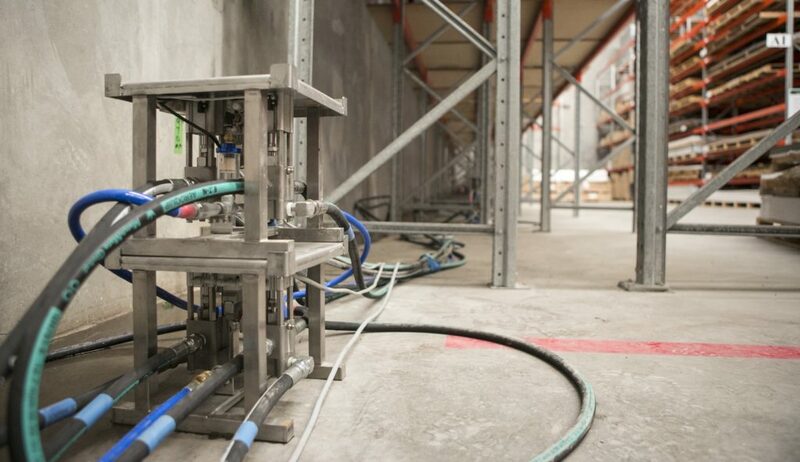 The grout is injected using a proprietary high pressure, low volume grout pump controlled by computer program circulates cementitious grout to as many as 128 injection points. The grout is circulated to each injection point in the quantity required at the moment it is required. This way the structure is raised evenly and gradually without any undue stress on any part. 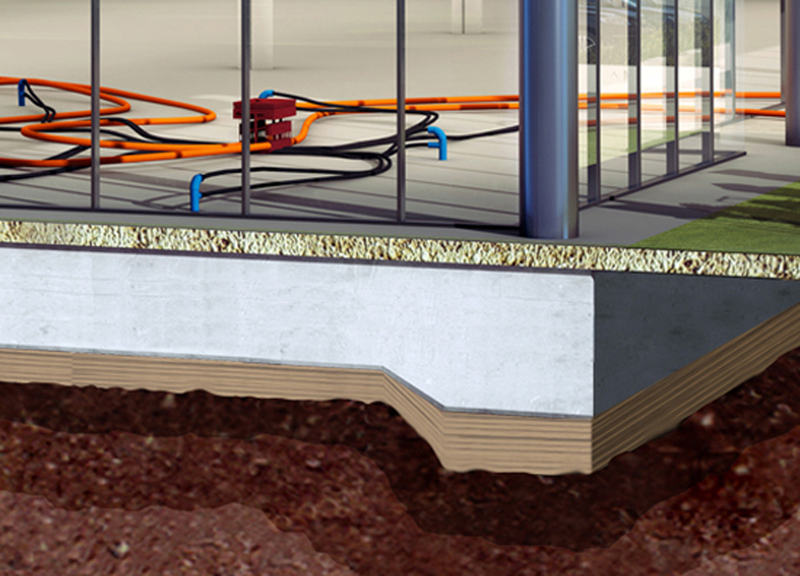 Initial injection delivers a very low-viscosity grout beneath the foundations/structure, which effectively floods the substrate, filling any voids and fissures, and provides a cement binder to any loose soils, in order to provide more uniform support and to create a reaction platform to lift from. Then repeated injection of flash-setting grouts enables the creation of multiple minute layers of grout beneath the building and within the substrate. As the grout sets, new grout is injected and flows over the previous layer, resulting in a minutely applied uplift force. These layers are built up progressively in a randomly radial and laminar nature. With repeated applications, the effect is cumulative and uniform. Where the site and project require it, we may establish grout monitors: an automated robotic, station based wireless monitoring system. 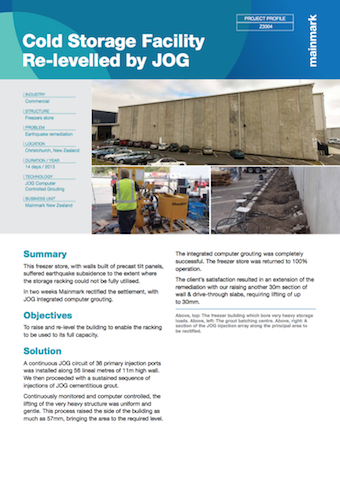 This monitors and reports levels and inclination data from a complete network of points over the entire footprint of the building being levelled. This reporting is constant and in real time, thus enabling the fine tuning of the injection program. 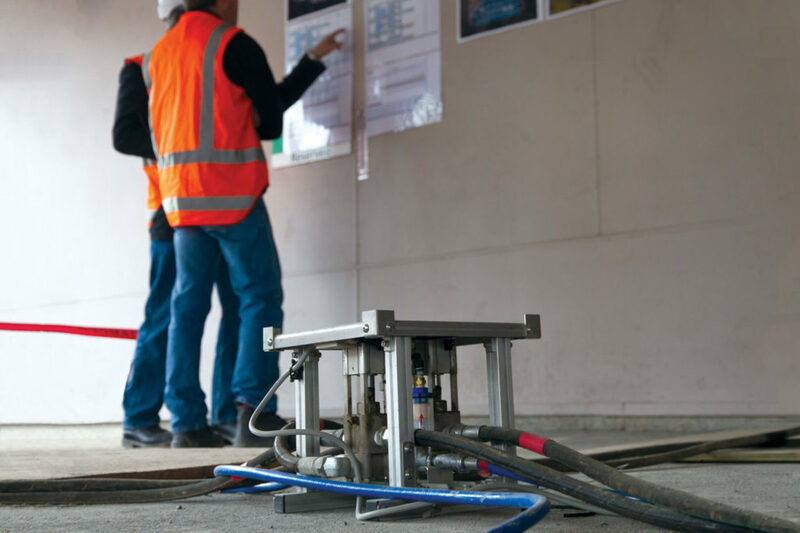 The process is extremely precise: the cementitious re-levelling of huge and complex buildings is controlled to the millimetre and the results are achieved in a remarkably short time. The process is controlled to the millimetre, which means there is no undue stress on any part of the building and it can be raised no further than its design level. 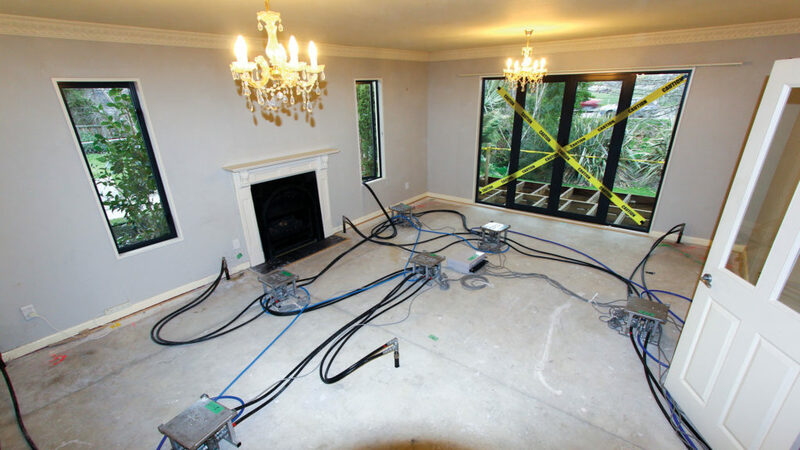 This non-invasive method gently raises or ‘floats’ the structure back to level, spreading hydraulic forces over large areas. Provides a proven and cost-effective alternative to piles, jacks and other expensive, invasive foundation repair process. Large sections or even entire structures can be slowly brought back to level in a coordinated process. No major excavation is required, which means little or no mess, noise or vibration. Premises don’t usually need to be vacated and neighbouring properties remain unaffected. JOG Computer-Controlled Grouting was initially developed in Japan to assist with earthquake repairs and correct the effects of liquefaction. 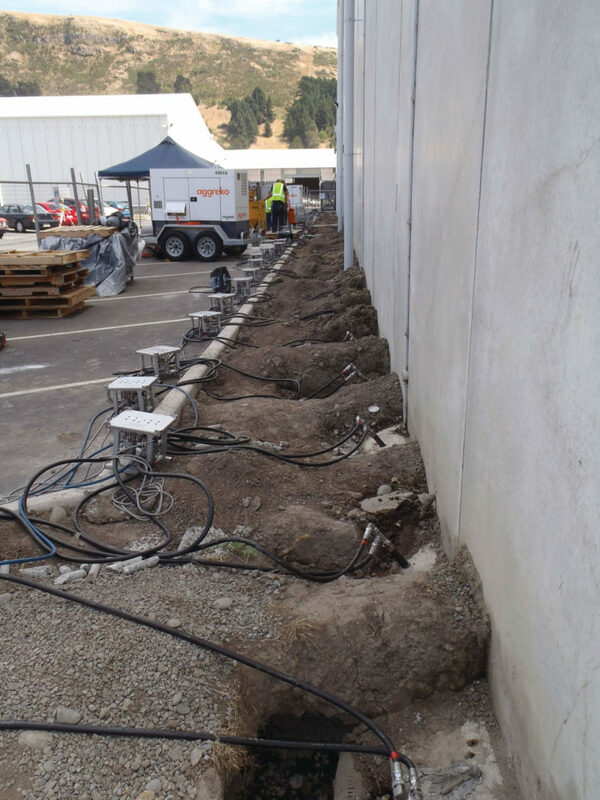 It has since been used extensively in other seismic regions, such as Christchurch, New Zealand, for ground improvement and to correct and re-level entire buildings, or large sections of structures, that have experienced ground movement. JOG enables a level correction without the use of hydraulic jacks and temporary lifting platforms. Neighbouring properties are not affected and product is contained within the site. 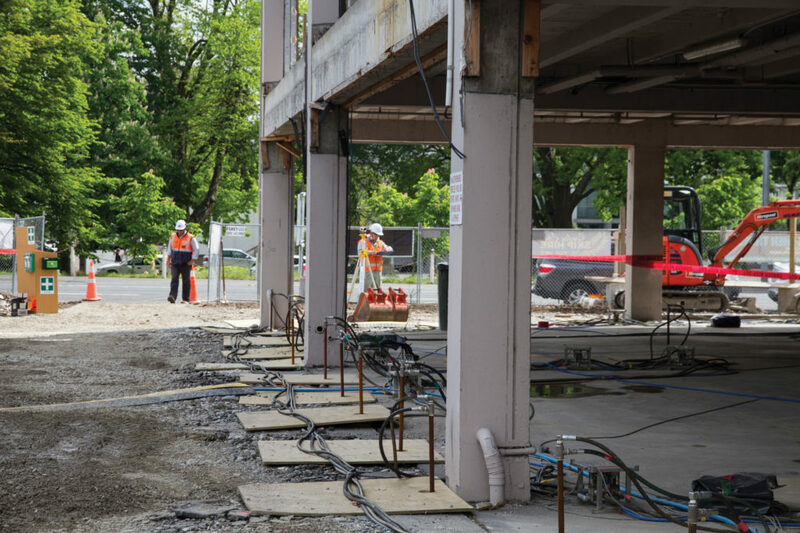 The process is extremely precise: the cementitious re-levelling of huge and complex buildings is controlled to the millimetre and the results are achieved in a remarkably short time. 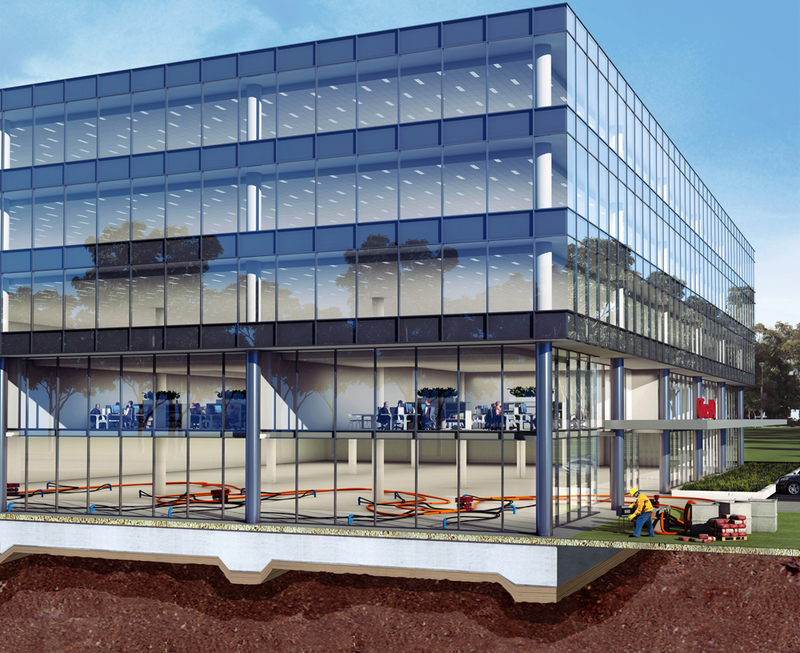 Mainmark’s team of industry-leading civil and structural engineers draw on decades of experience in innovative underpinning technologies and close collaboration with independent, expert consultants to interpret geotechnical information and complete risk assessments specific to a site’s ground conditions. Using these insights, they develop an engineered solution that meets specific site requirements. There is also a significant time saving. No mess, no noise, no excavation, and no vibration.